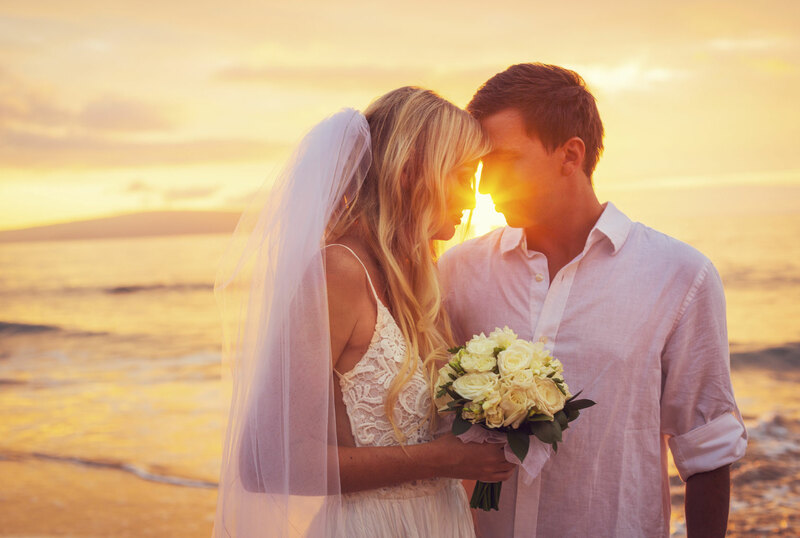 Trying to decide if a beach wedding is right for you? There are wonderful reasons to host an elaborate ceremony in a cathedral or ballroom, and for saying “I do” in a blooming, flower-filled garden. But getting married on the beach has its own special charms! 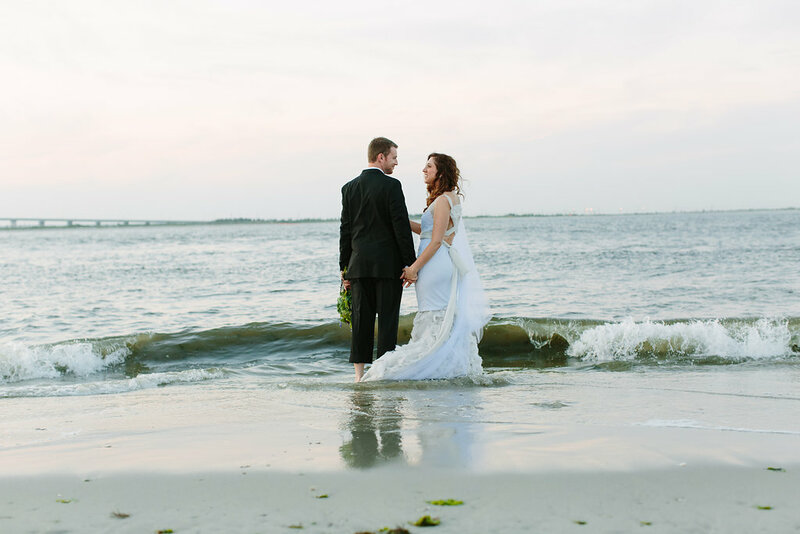 In honor of summer weddings, here are 5 fabulous reasons why you should pick a coastal venue to exchange your vows. Are you a laid-back bride? Want to steer clear of stiletto heels? 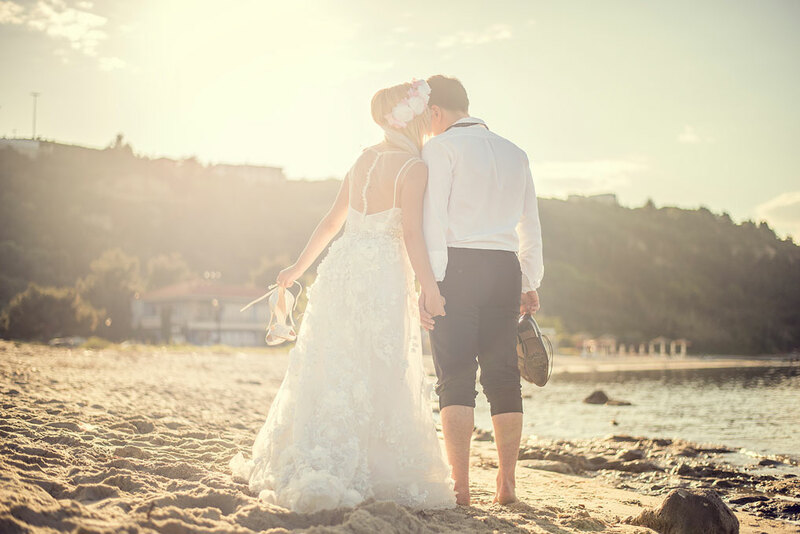 If you would rather go barefoot or dance in flip-flops, a beach wedding is perfect for you. This situation is ideal for a casual theme with nautical details like starfish, sand, surf, and shells. Go on, get that photo of everyone wearing sunglasses, looking like they’re straight out of the CIA. You can ditch the formal jackets and ties, and go for an all-out summer theme! If your idea of a good time involves tropical drinks and sunblock, this is a good way to go. Is your dream wedding gown free-flowing rather than structured? Does it lack straps or show a bit more skin than usual? If you’re just itching to ditch the traditional dress with a long train, the beach is your opportunity to show off a more relaxed style. Your guests can come with casual attire, too! Beach weddings give you amazing photos. 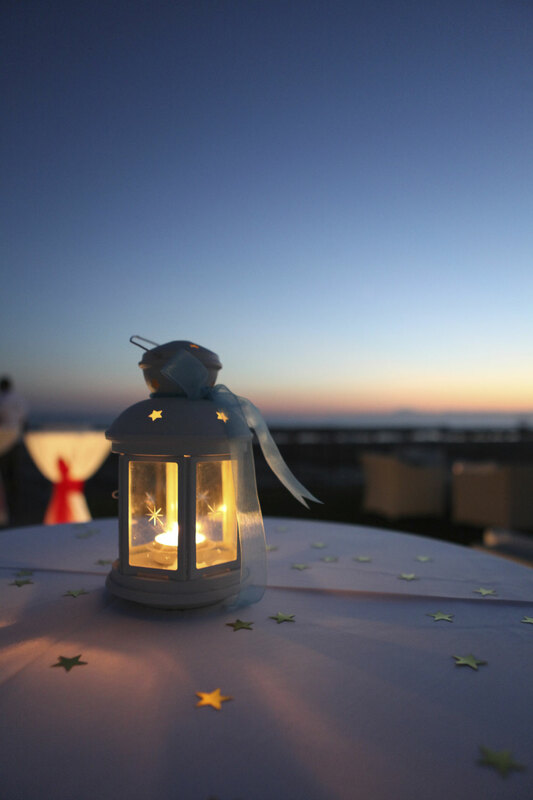 You can get one with your veil blowing in the coastal wind, and showcase the natural ocean scenery. 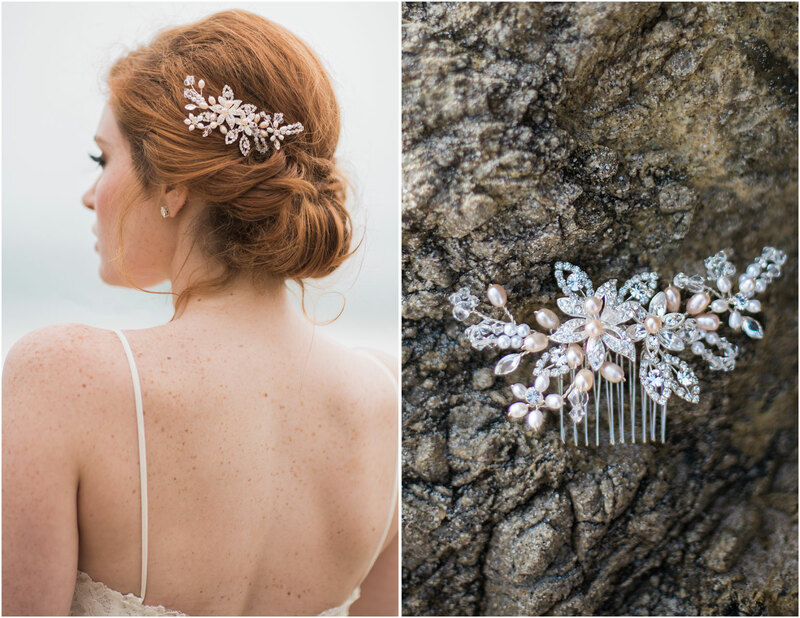 Rather than skipping accessories, highlight them in beautiful, beachy bridal portraits that will be anything but boring. If you want to honeymoon on the coast or at a tropical location, a beach wedding just makes sense. You’ll already be at or near your destination, and friends and family can stay longer than just one day! The beach is soothing, romantic, intimate, and absolutely gorgeous. What better place to kick back and start your married life? 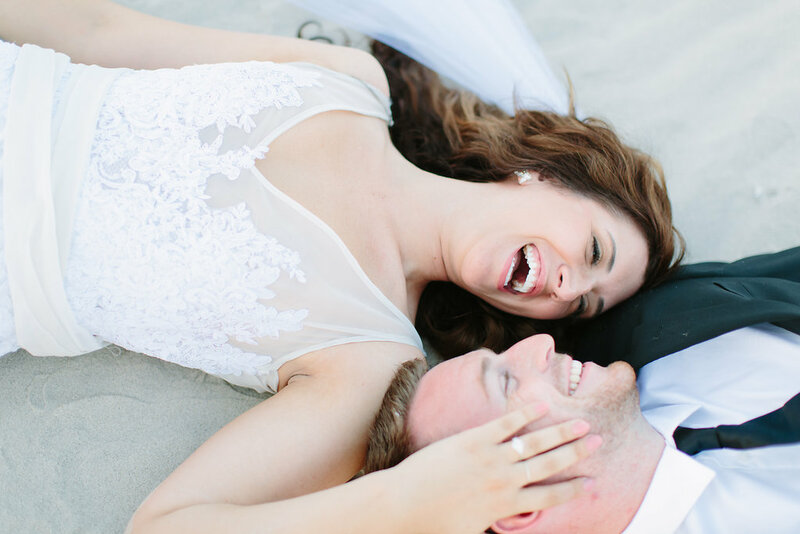 Are you dreaming of a beach wedding? Check out our Destination Weddings and Nautical Weddings boards for ideas! Happy first day of summer! If you’re going away to elope or hosting a fantastic wedding weekend party, preparation is everything. Make sure you do these eight things to make your dreams come true! Ever go on a trip and realize you forgot something important? It’s usually something small, like a hair brush or tampons or your bathing suit—but these things can greatly impact your comfort level. Create a list of everything you’ll need to pack for the wedding, and double-check. This is not the time to underpack or think “it’ll be fine.” This is your special day! Everything won’t be perfect, but being prepared will get it pretty close. Keep your wedding gown in a garment bag at all times, and hang it away from pets or small children. Safely store your wedding day jewelry, headpiece, garter, undergarments, shoes, and veil. It’s helpful to keep these in a pocket of the garment bag—or in a separate travel box that will keep everything accounted for. Do not iron your veil. To get out wrinkles, you can lightly steam it or hang it for a few days and they will fall out. Accidents happen. If you’ve seen any wedding movie ever, you’ve seen the bride tear her veil, spill wine all over her dress, lose her shoes to the dog, or drop her ring in the shower. Hopefully none of these perils befall you! But if anything does go wrong, it helps to have a backup LWD, hair clip, and pair of flats. You can wear these items on your honeymoon, and you’ll feel better knowing you won’t be walking down the aisle in jeans. Your wedding day will be a whirlwind of events. It’s difficult to live in the moment and enjoy yourself if guests are constantly asking questions, or if you have to stop and pay the photographer before they leave, or if you have to find out who is double parked. Designate someone else—be it your MOH or wedding planner—to act as the gracious host. Let them solve problems so you can relax and just enjoy being the bride! Emergencies happen, even at weddings. Whether your fiancé steps on a rattlesnake or your relative falls on the dance floor, you should know who to call. Even if nothing goes wrong on the wedding day, you might require medical help on the honeymoon. Keep your information with you, bring extra medication, and let your insurance companies know that you are traveling. Make sure you are covered abroad. 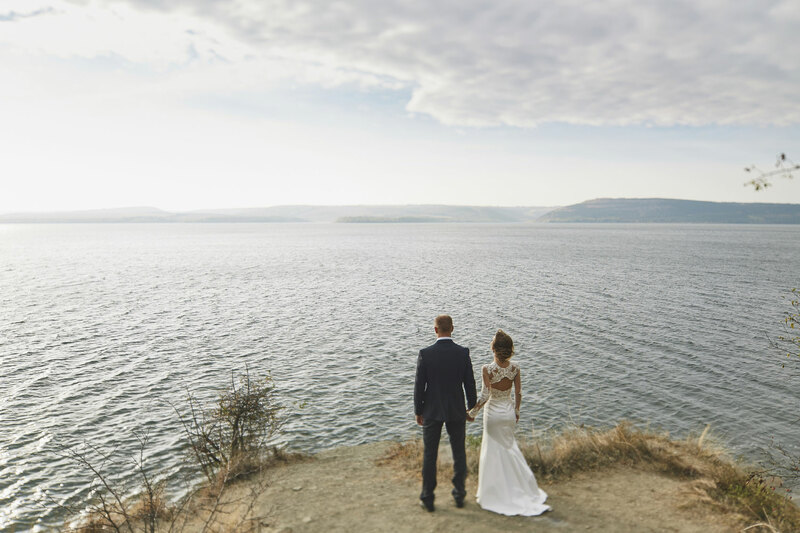 Many popular destination wedding spots will suggest (or require) vendors they work with on a regular basis. Make sure you are comfortable with these businesses and plan the details with them ahead of time. Get their contact information. If someone isn’t reliable or doesn’t understand your vision, consider working with someone else. Especially when you’re far from home, it helps to have vendors you can trust to be there. Do you both have updated passports? Have you changed your name(s)? Have you purchased a license and hired someone who can perform your wedding? 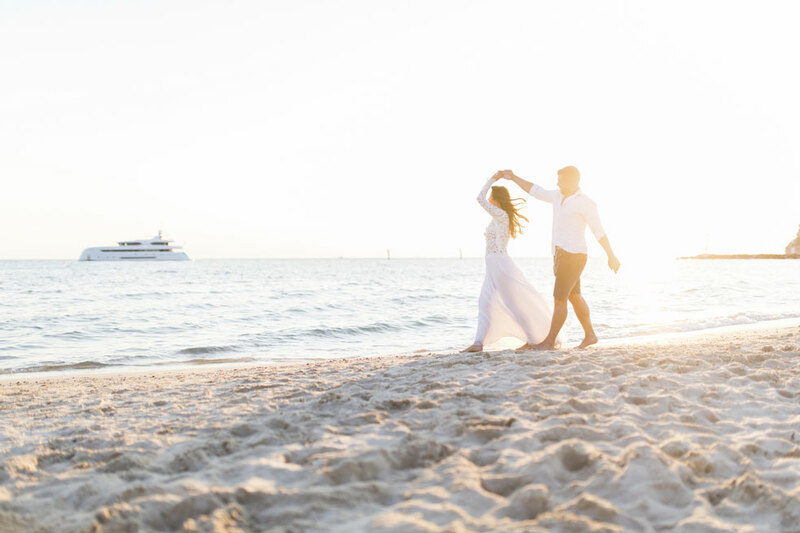 A lot of rules apply to marriage ceremonies, so make sure the two of you can travel and get married in your chosen destination. There may be residency requirements or additional fees. Be prepared so you don’t have to sign at the court house later. Destination weddings are fun because they can be so much more intimate and carefree than a traditional wedding ceremony. Smaller weddings are easier to style, too! 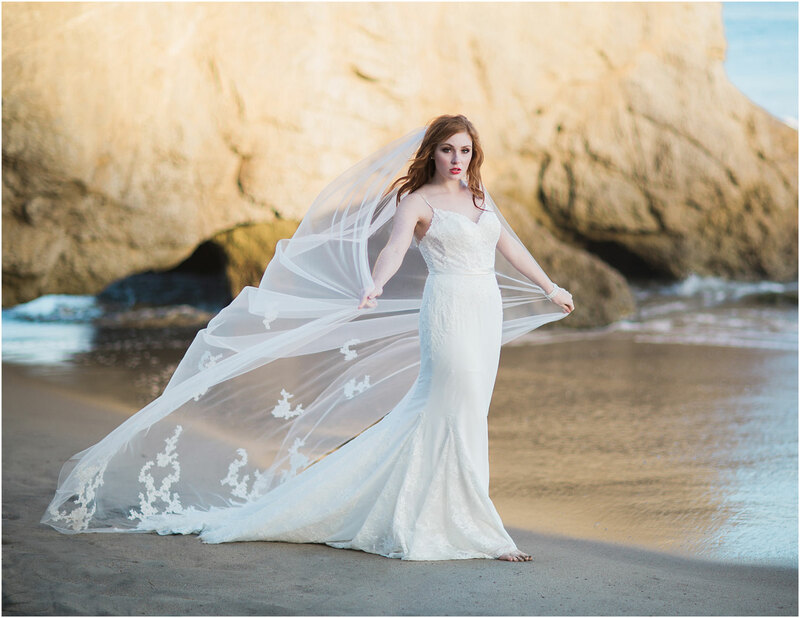 Transform your bridal look with a destination style—whether it’s glamorous, trendy, romantic, vintage-inspired, or beachy. Choosing a theme will help make your wedding feel just a bit more special and make it stand out from the rest of the celebratory weekend. Are you hosting a destination wedding? Check out our My Bridal Style: Destination for bridal styling ideas, and follow us on Instagram for the latest industry trends. The “unofficial start to summer” is a week away! Are you ready? Attending a wedding this summer? Styling outfits for your bridesmaids? 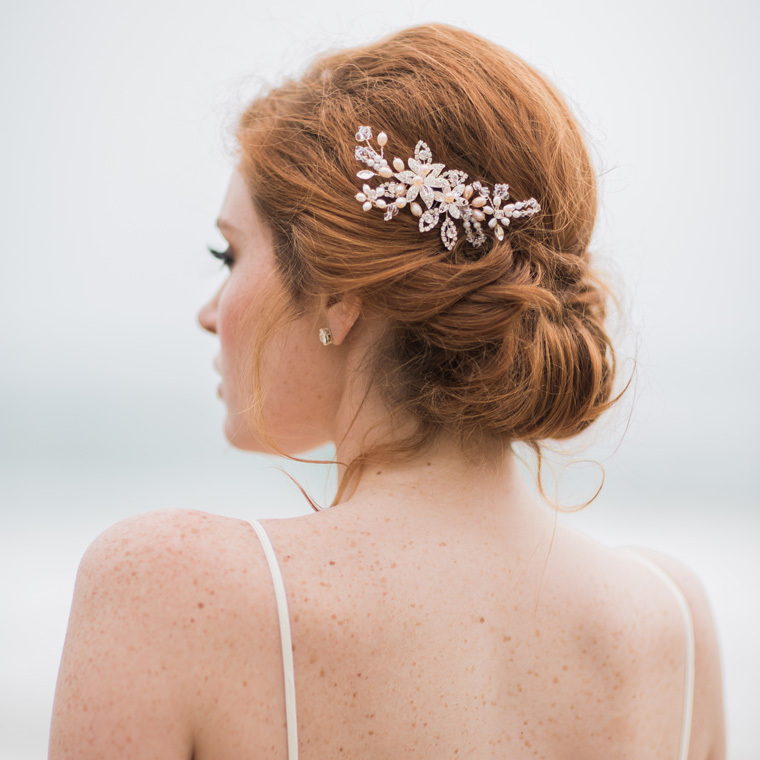 Whether you’re getting married in a garden or running to the beach, you can create a look that is totally classy yet still laid-back with just a few fun bridal accessories. Pearls are always in style, and there’s no time like the summer to show them off! Created by the ocean, pearls infuse an air of natural bohemian glamour into your ensemble. Our glass pearl accessories preserve the look and style of natural pearls with the added sparkle of rhinestone accents in modern, creative pieces. Browse our hottest designs and find a new bit of pretty to wear at your summer event! Stunning in gold or silver, style 6558 combines a delicately wired design of open leaves with tiny pearl accents on ribbon ties. Beautifully bohemian, this lovely headpiece may be styled just how you want it: worn across the forehead or as a headband, with or without a veil. Sparkling rhinestone accents finish off an unforgettable look. Understated. Classic. Gorgeous. Style 6569 combines sparkling rhinestone flowers with champagne pearls in a small comb that goes with everything bridal. 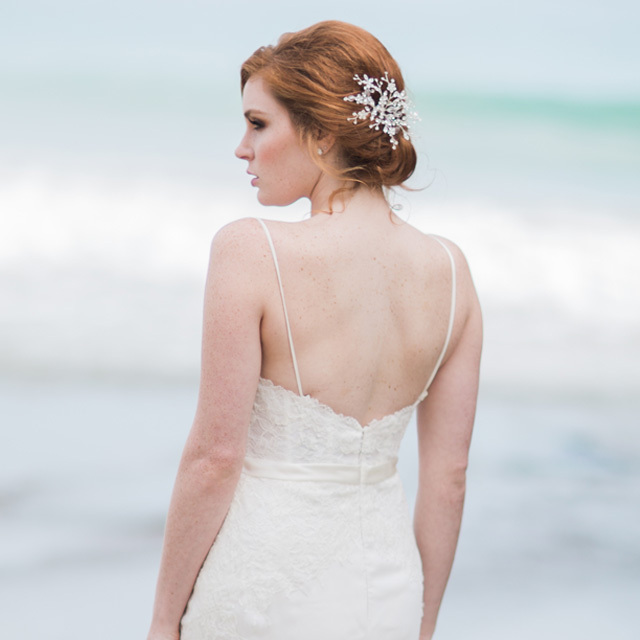 Tuck this tiny treasure into an updo or beneath a veil for a pretty bit of sparkle that’s just at home on the beach as it is in a church. Sparkle like a siren from the sea wearing headband 6531. Glistening crystals, ivory pearl flowers, and shimmering rhinestones enhance tiny silver leaves in a lovely bridal statement piece. Pair it with a pearl dotted veil or cut edge design to exude an air of carefree beauty. 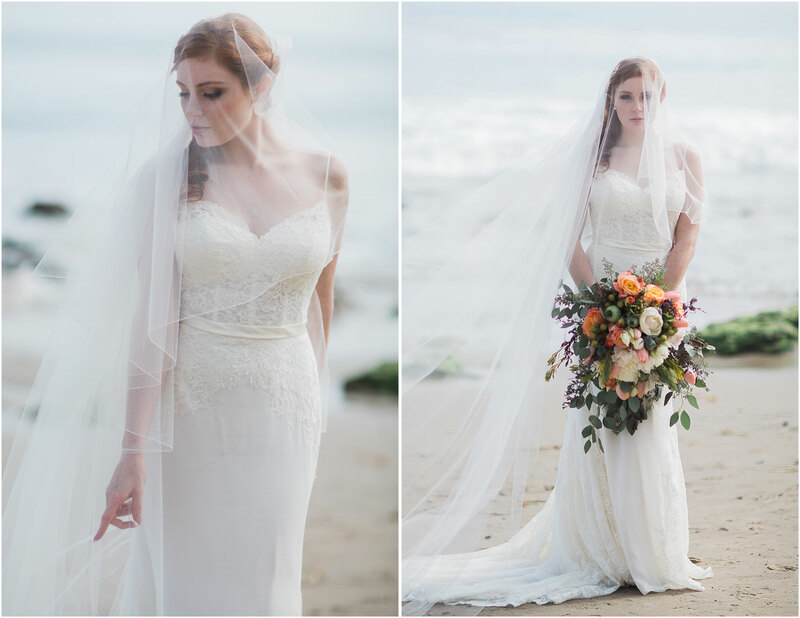 Breezy and beautiful, an understated veil goes with literally everything—the cathedral length adds a feeling of once-in-a-lifetime romance. Wear it boho-style on the beach or for your fairy-tale garden event: this lovely, simple accessory says bride with easygoing elegance. Style V7164C features a fold-over blusher; for a single cut-edge layer, ask for style V9994C. 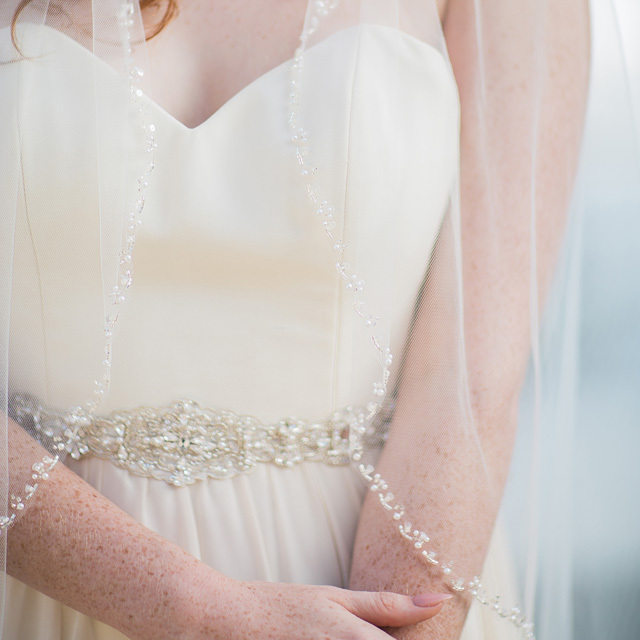 Pop on a pretty accent with a flattering fingertip length veil dotted with tiny pearls. Beautifully bridal, this fun and flirty veil V7253 features a clean cut edge and scattered pearls in a modern design. Secure this style in a braid, chignon, half-updo, or topknot and feel it float behind you in the summer breeze. 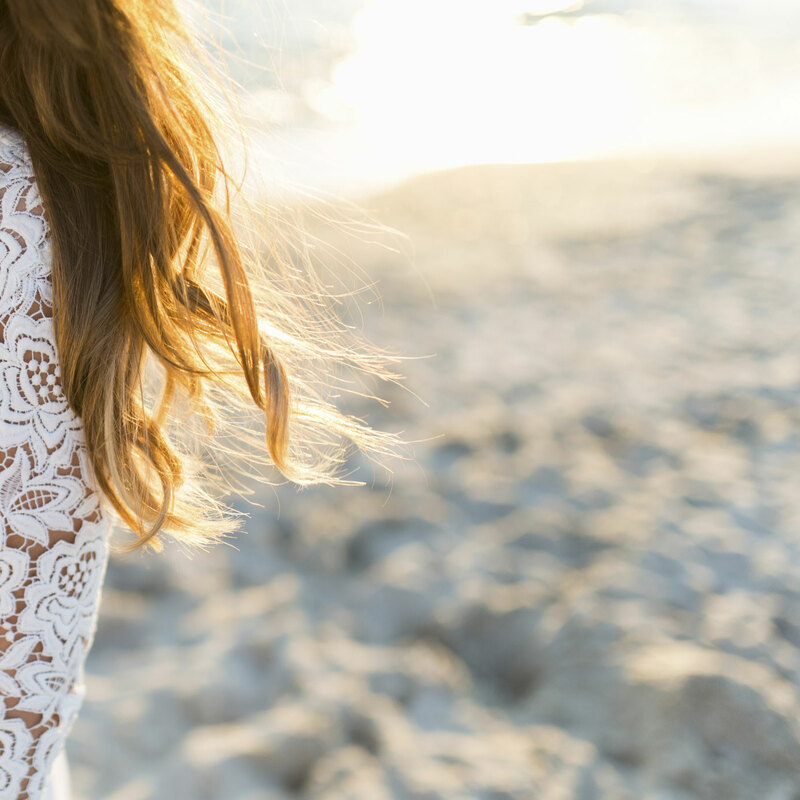 Lace brings heart-fluttering bridal romance to your outfit. A simple rolled edge cathedral veil flaunts gorgeous lace appliqués in a design that will turn heads. Wear V7263C at your beach wedding for a look as romantic as the sunset, or show it off at your garden affair for an elegant, floral-inspired ensemble. How are you styling your summer wedding look? Follow us on Instagram and share your ideas! We just love seeing fun photo shoots that incorporate the most gorgeous gowns along with our very own lovely accessories! 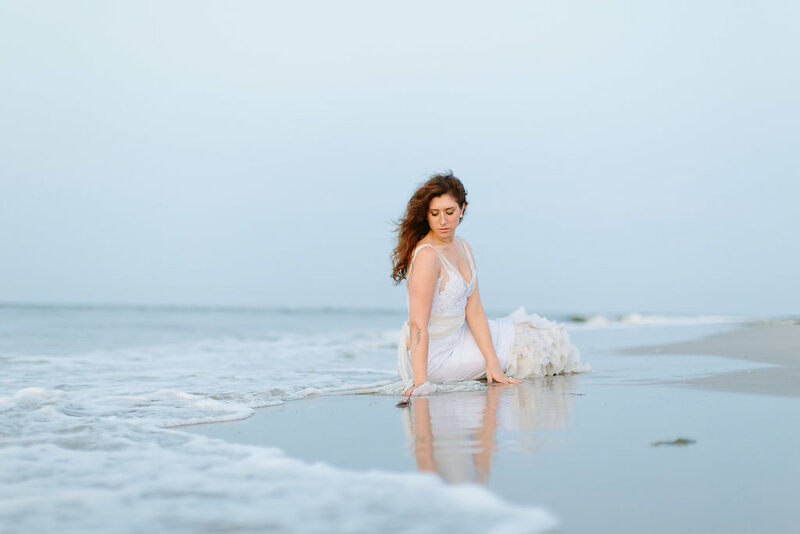 This “trash the dress” session at the beach looks so breezy and crisp, we can almost smell the fresh sea air. 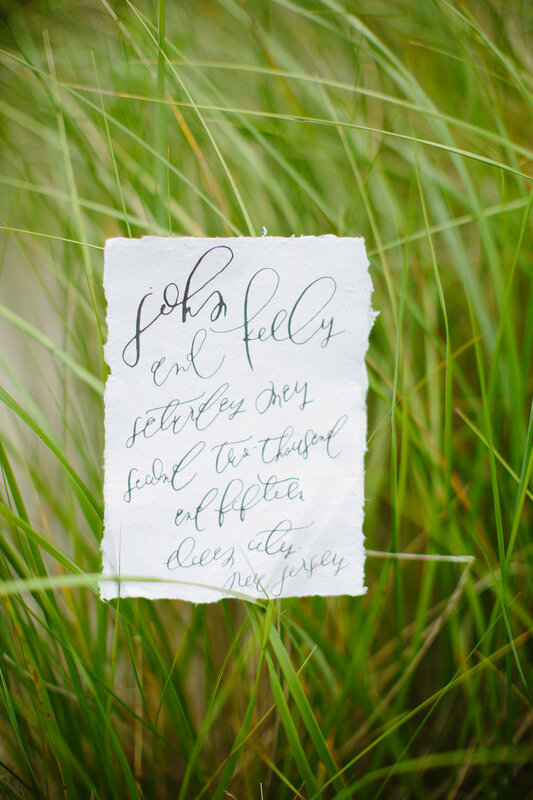 Thanks to Jessica Cooper Photography for sharing these inspirational post-wedding photos! 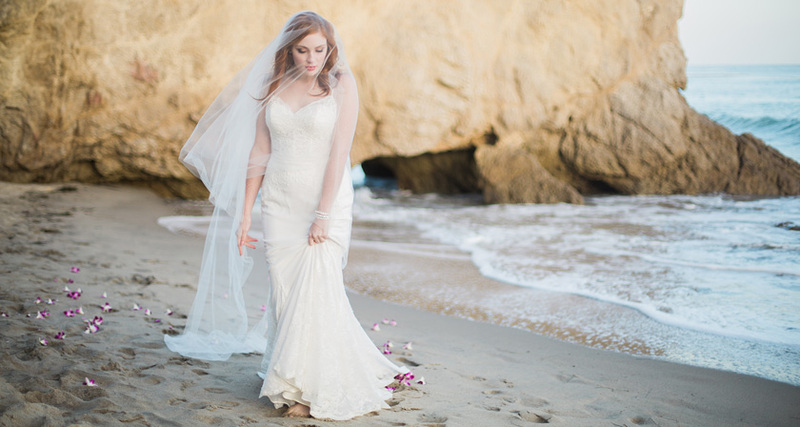 There’s something so timelessly ethereal about wearing a veil at the beach. A Sweet Caroline gown with pretty lace and heart-fluttering ruffles steals the show, pairing gorgeously with our veil style V7234. 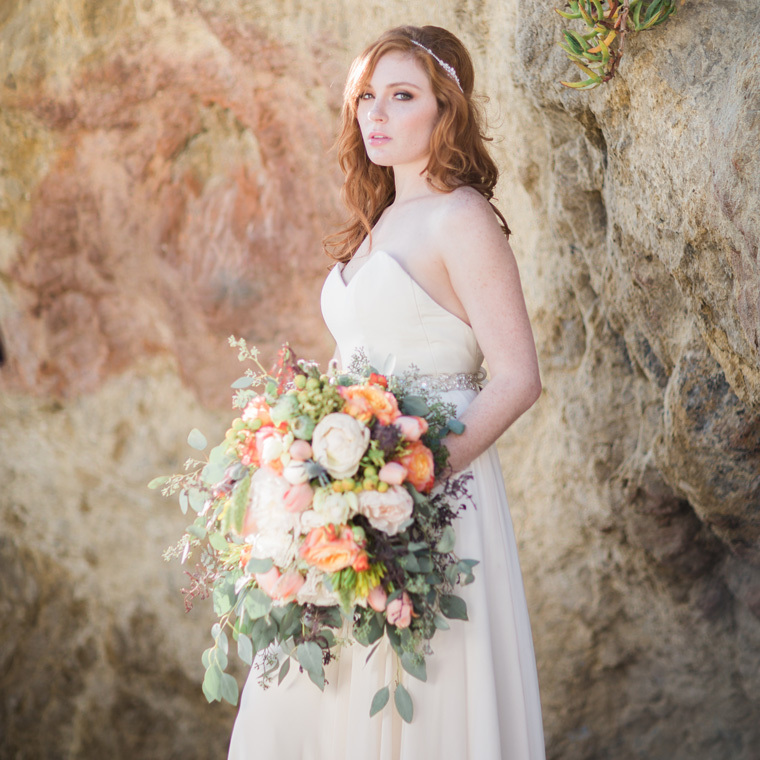 This bride also wore our metallic halo 6510, and brought her bouquet along, too! It sure looks like this bride and groom had a fun day. 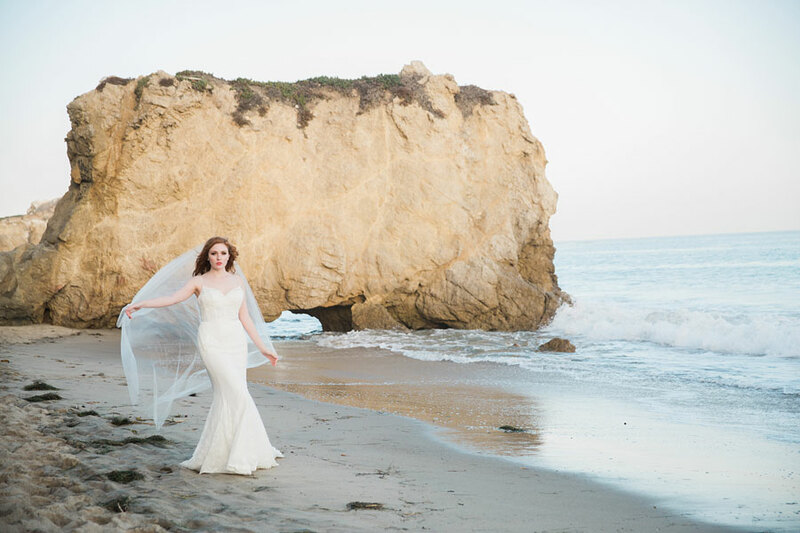 Are you planning on taking bridal photos at the beach? Share your story! Check out our Store Locator to find these items in a bridal boutique near you! We are so excited to be included in this lovely styled shoot by Jessica Cooper Photography, featuring Sweet Caroline Gowns and our very own accessories! 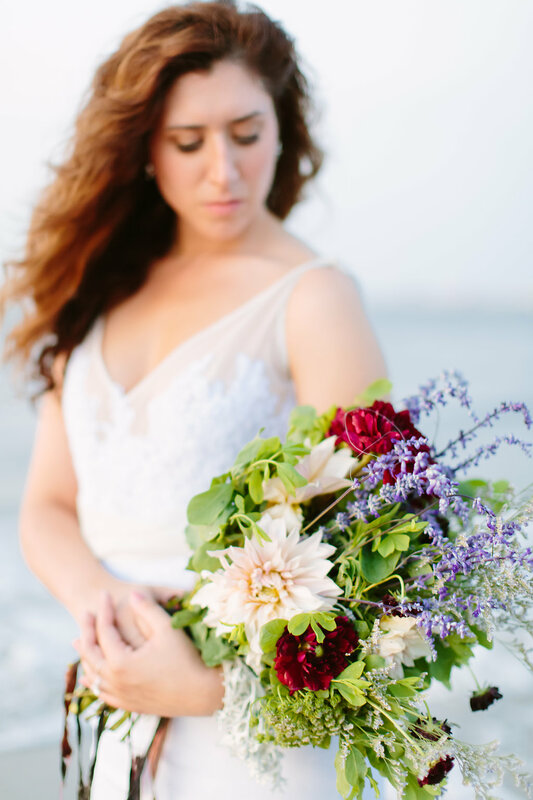 Feast your eyes on these gorgeous pics incorporating a wild bouquet with marsala flowers, creatively styled driftwood branches, and a ruffled, utterly swoonworthy dress. 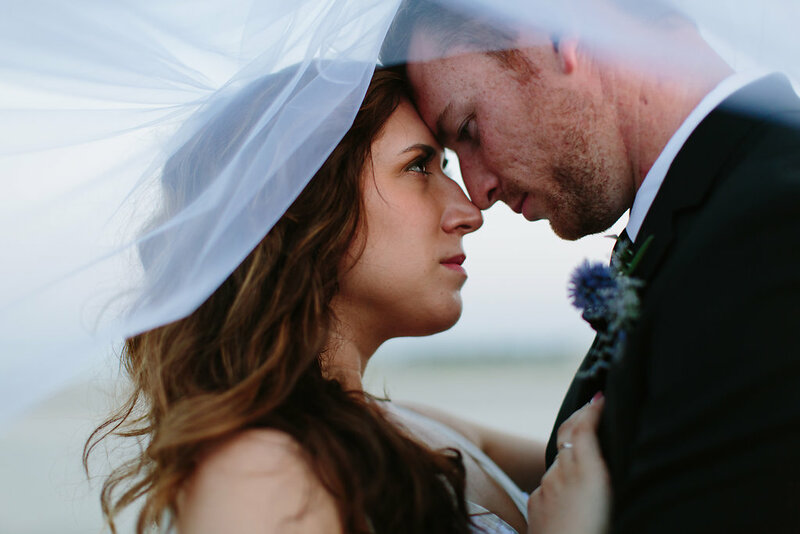 Check out the romantic moments beneath the veil—you can almost feel the love and serenity. Who knew a day at the beach could be so classy? 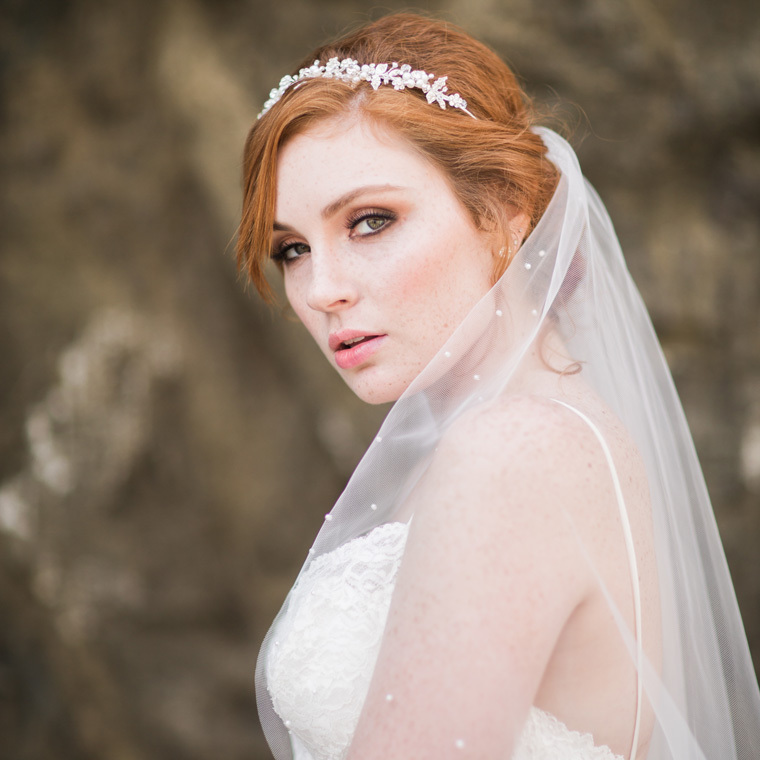 This styled shoot featured our dreamy, cascading cathedral veil V7234 and our pretty pearl and rhinestone halo 6510. Check out our Store Locator to find these items in a bridal boutique near you! 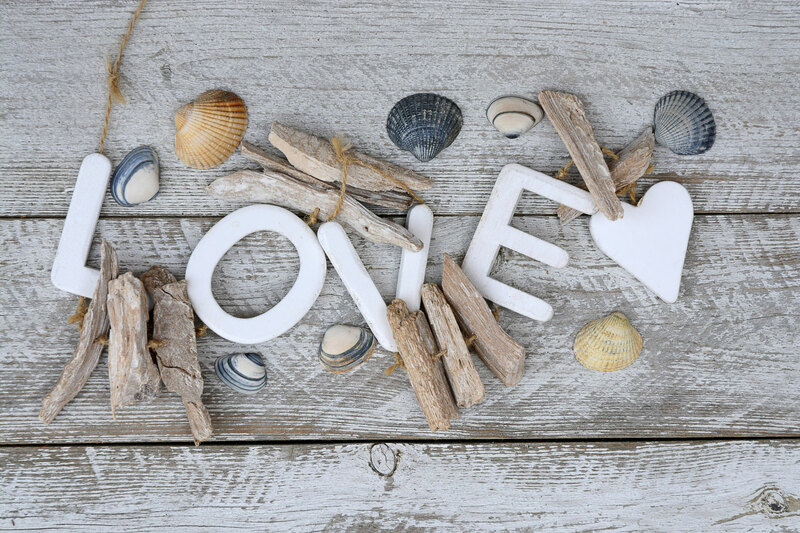 Are you planning a destination wedding, getting married in a tropical setting, or saying “I do” on sandy shores? 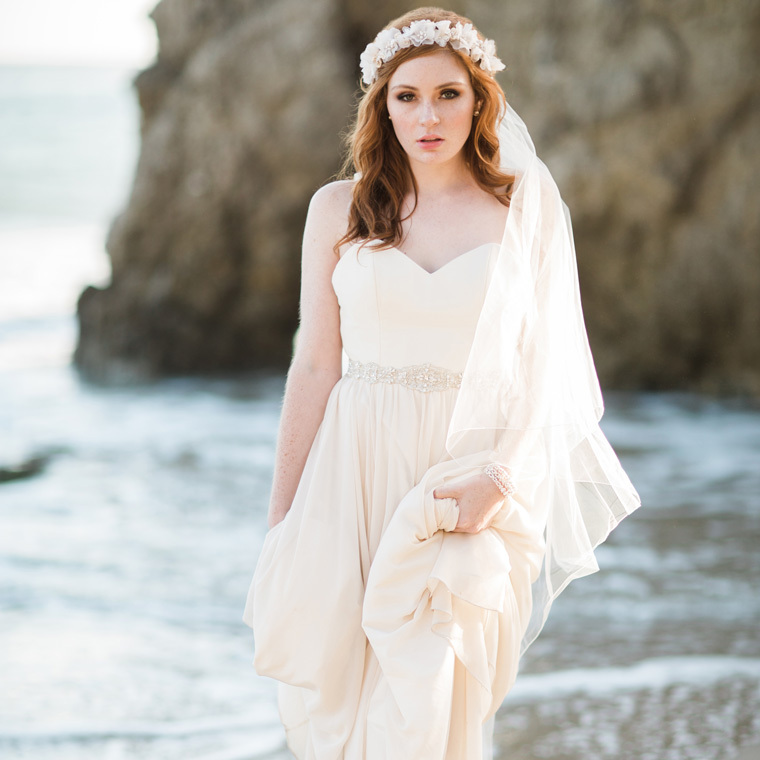 Check out our favorite styling ideas for unconventional and classic brides alike! Express your personal bridal style with these amazing accessories. 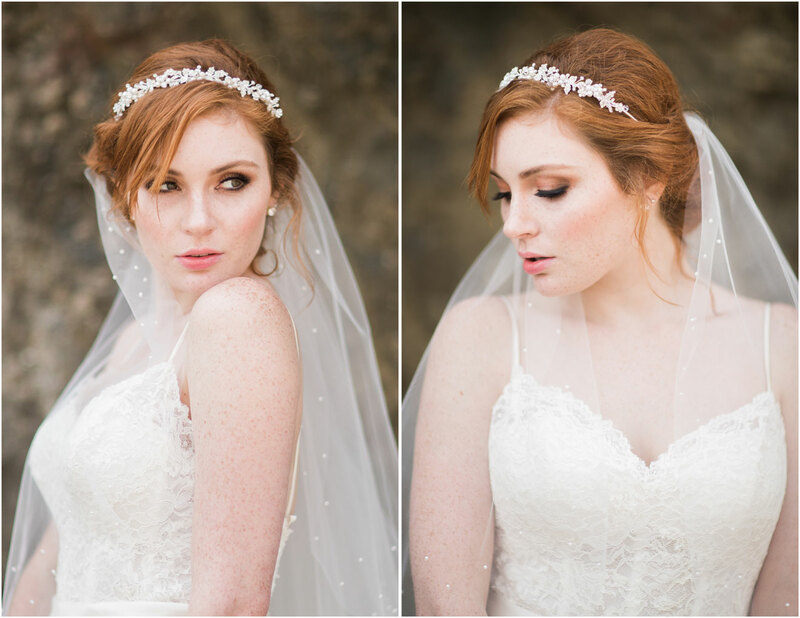 Better together: a bridal headpiece over a foldover veil looks stunning. Choose a headpiece that reflects your personality—bling or beads or metallic details—and pair it up with just about any circle cut veil. This elegant combo complements the incredible beauty of the ocean with a bit of your own boho-chic charm. So you don’t want to wear a veil. No problem! A pretty headpiece will definitely say “bride” and make you feel absolutely gorgeous. If you’re the carefree type, check out a soft flower comb or delicately bejeweled halo. 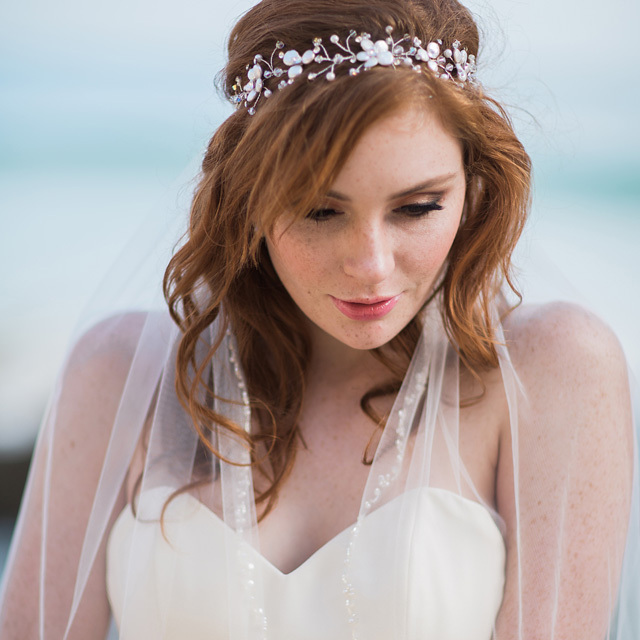 For the more formal future Mrs., a beaded headband or pearl hair vine offers a swanky touch of elegance. 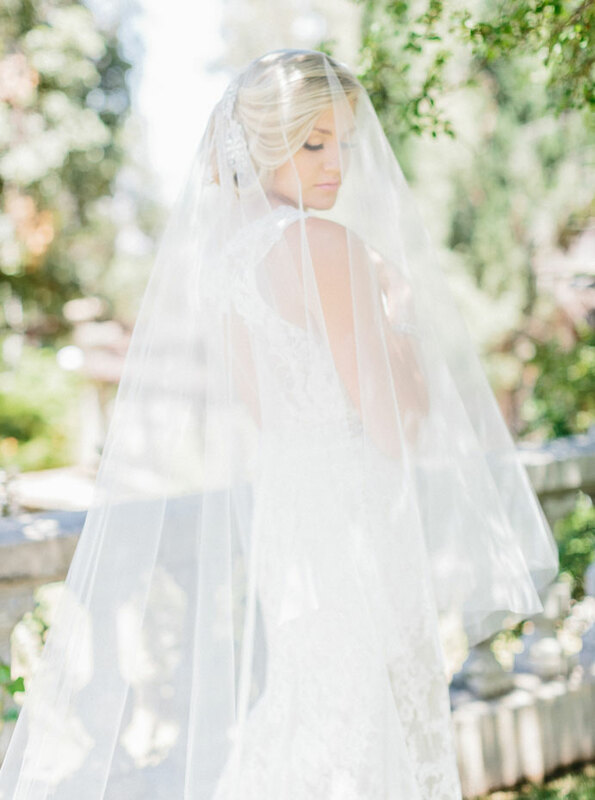 Nothing makes our hearts flutter more than a gorgeous cathedral veil. Get in the spirit of beauty and romance wearing a long, dramatic design! Whether you choose a light cut edge or lace details, this style is sure to look lovely blowing back in the breeze. 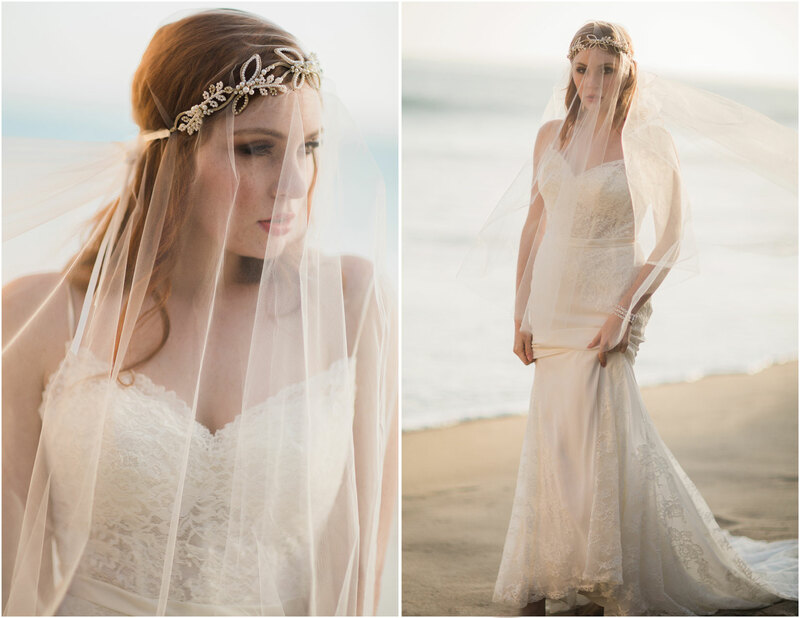 Combine a pretty veil and the headpiece of your choice for a flawless, put-together bridal ensemble. You can wear the veil for your bridal portraits and ceremony, and then party all night wearing an eye-catching headpiece! This picture-perfect pairing personalizes a traditional look. 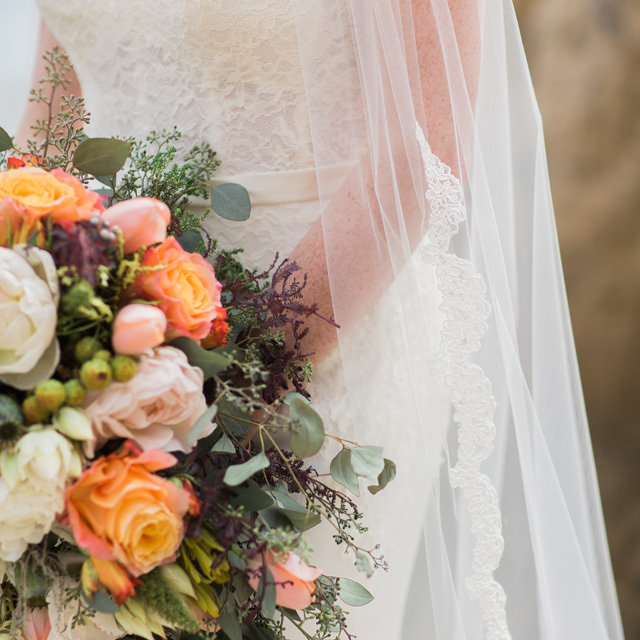 There’s something so dreamy about a bride wearing a sheer tulle veil over her face. A classic blusher is usually worn by a bride as she is walking down the aisle, and it is lifted before the kiss. 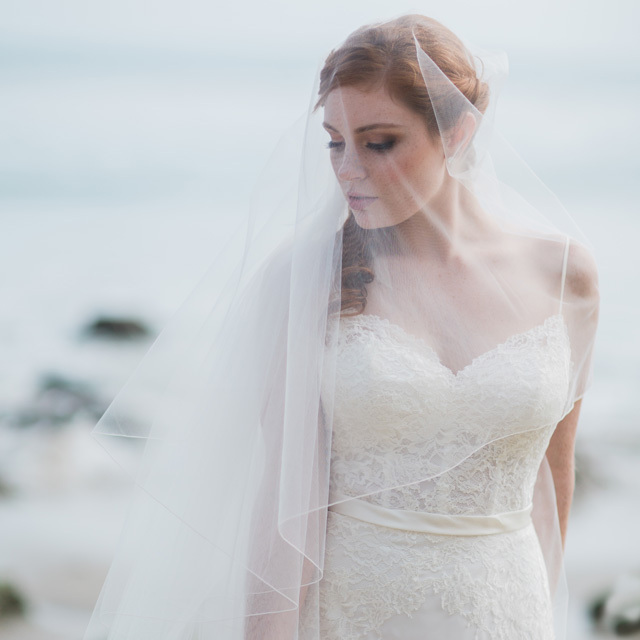 You can achieve the same fairy-tale beauty with a circle cut veil or a two-tier design. Where are you getting married, and which look is your favorite? 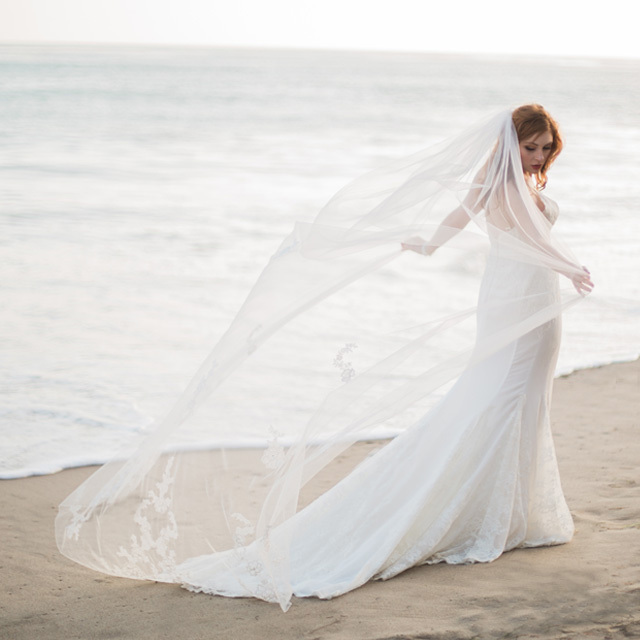 How To Wear a Veil—At The Beach! All brides wear veils, right? Well, no, they don’t. But because veils are so pretty and unmistakably bridal, let’s assume you’re open to wearing one. And let’s also say that you’re getting married at the beach! So how do you pick the right veil for your unique venue and personal style? Keep scrolling to see our tips about how to find the perfect style and make it work for you. Veils come in more varieties than frozen yogurt! 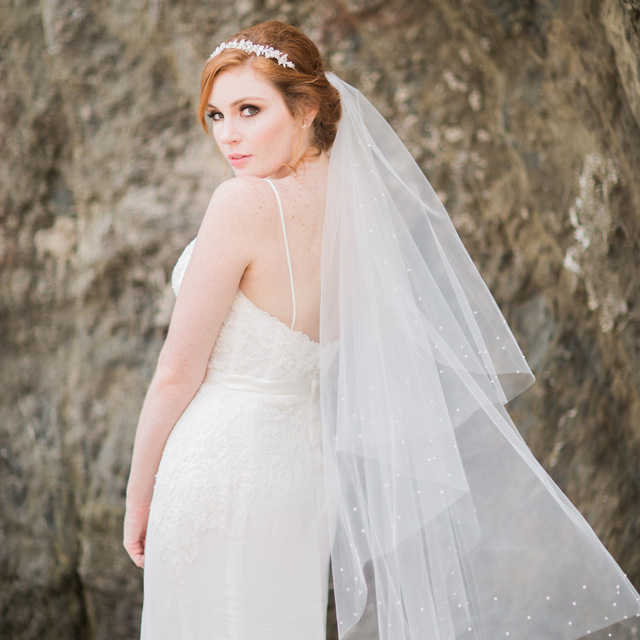 One of our favorites is a pretty, pearl-dotted, cascading foldover veil that flows to fingertip length (V7253 pictured). The pearls add a nice touch to an otherwise simple but shapely illusion, creating an absolutely dreamy look. You can wear one tier forward or both back, your choice! Are you a romantic? Most beach wedding dresses feature soft, ethereal layers. If your gown includes lace details, wearing a veil that also features lace is a gorgeous way to tie your whole style together (V7251 pictured). Add some pearl jewelry and your partner will fall in love all over again. Most people associate princess brides with churches and ballrooms. 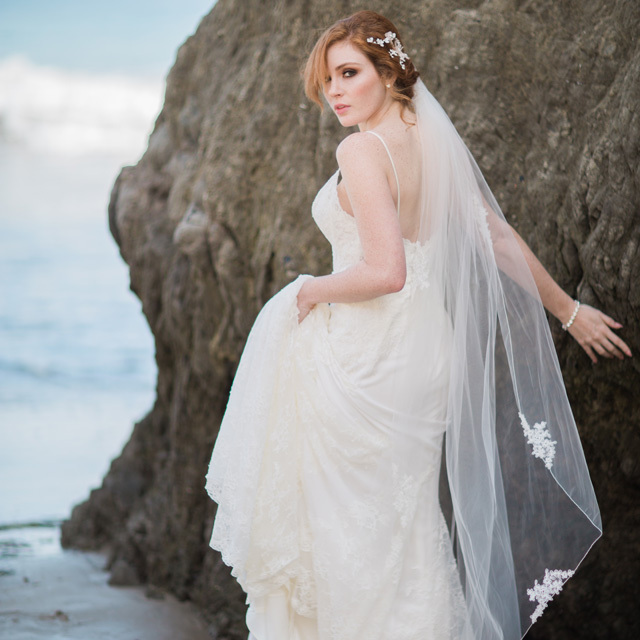 But you can also achieve a totally regal look by simply bringing a formal veil to the beach. The plus side is that you’ll get some amazing photos, and styles like V7034CX and V8734 will leave no doubt that you’re a bride! Plenty of girls wear white dresses to the beach, but your eye-catching veil will make you feel like this is YOUR day. Fish for compliments wearing a gorgeous French net veil! This sweet, simple, chic style is perfect for the beach and will ensnare your love with bridal charm. You can wear the net over your face or back over your hair as a mini-veil (6225 pictured). Vintage designs are trending, so this style looks completely fresh and modern with the right dress. Which look is your favorite? 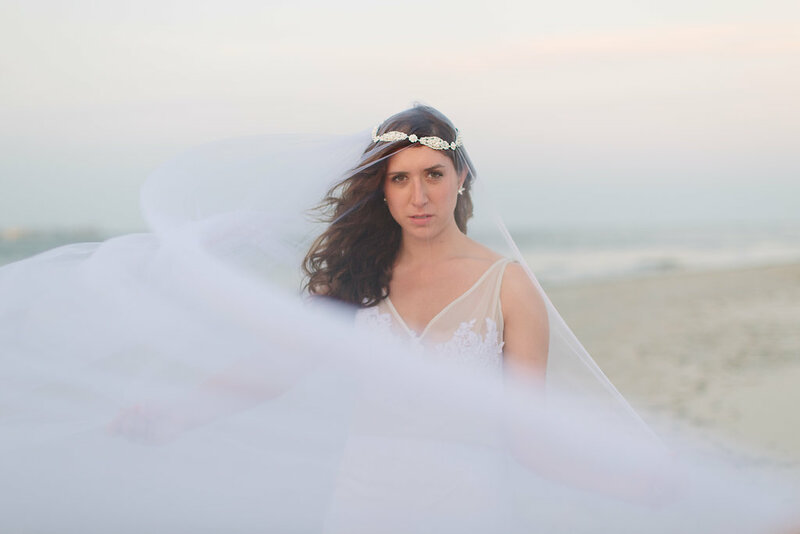 Will you wear a veil at your beach wedding? Posted on August 21, 2015 August 24, 2015 Author Bel Aire BridalCategories BA Love List, Beach Wedding, Bel Aire Bridal 2015, Bridal, Cathedral Veils, Destination Bride, Fall 2015, Headpieces, My Bridal Style, Photo Magic, Pretty, Product Spotlight, VeilsTags Accessories, BALoveList, Beach, Beach Wedding, Bel Aire Blog, Bel Aire Bridal, belairebridal, Bridal Accessories, Bride to Be, Destination Wedding, Editorial Photo Shoot, Flowers, Love, Veils, Wedding, Wedding DayLeave a comment on How To Wear a Veil—At The Beach! Are you planning a destination wedding, or saying “I do” amidst a breathtaking backdrop of ocean, sand, and sky? 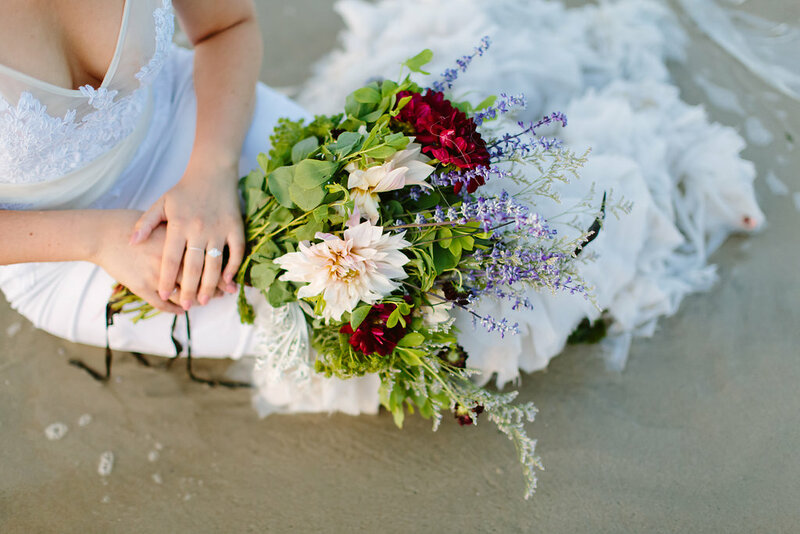 We can’t help but admire all you dreamy, free-spirted beach brides—and we’ve got some killer styling suggestions for you! This style is so carefree and easy to achieve: style loose waves and use a gentle spray or mousse to keep those breezy locks looking great all day. Top off this simple yet stunning hairstyle with a glittering halo like 6500, 6502, or 6505. The result: absolute boho-chic beauty. If you’ve ever been to a beach (we’re guessing you have—and maybe even were proposed to at one), you know that there’s no such thing as a calm day. Keep the wind from messing up your ‘do with a gorgeous bridal headband. From pearl-packed glittering metallic designs (6531) to sparkling rhinestone tie headbands (6562), these styles are sure to keep you looking lovely all day. 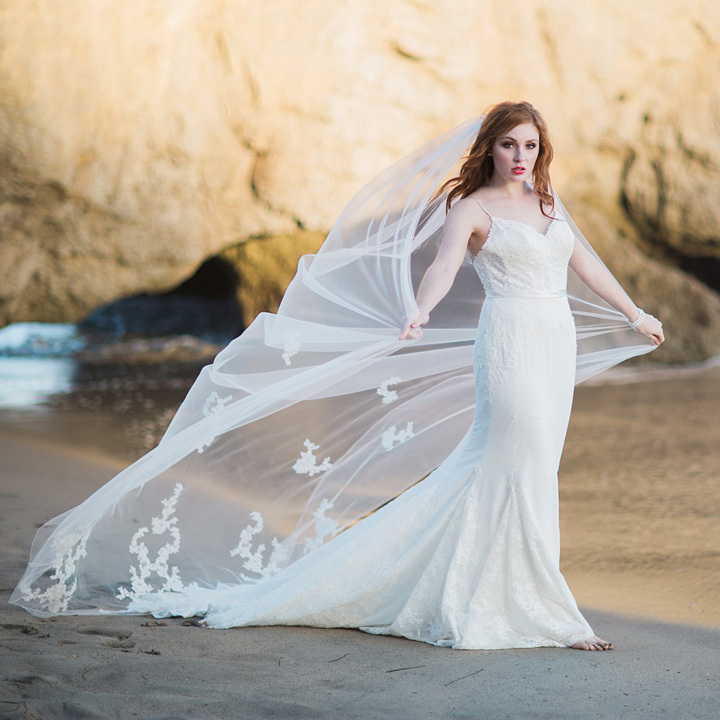 The bonus: add a veil and get some amazing shots of it blowing in that refreshing coastal breeze. You want it all: glamour, romance, beauty. Mix and match styles that speak to your heart! 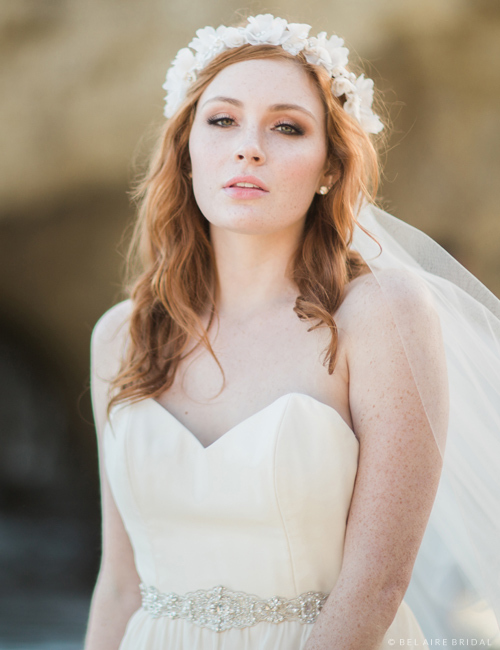 Pick a dramatic bridal headpiece with a gorgeous, eye-catching design (6570) to wear at the ceremony and reception. 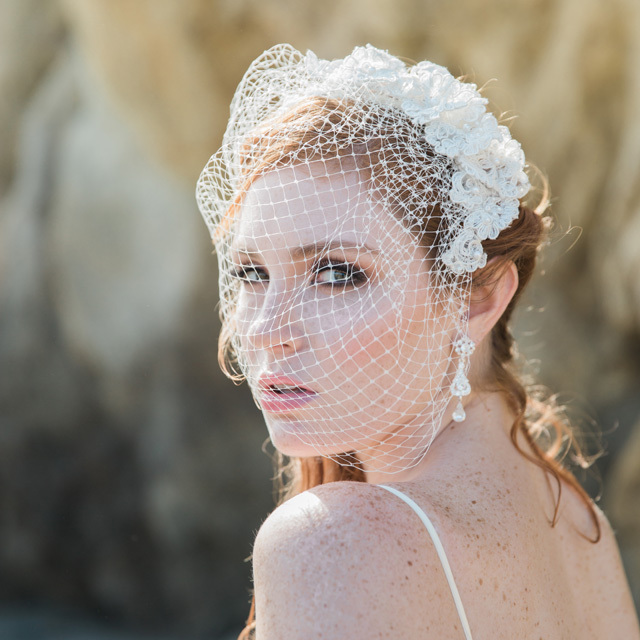 Pair a traditional cathedral veil with a blusher for some seriously amazing photos (yes, you can wear this at the beach). 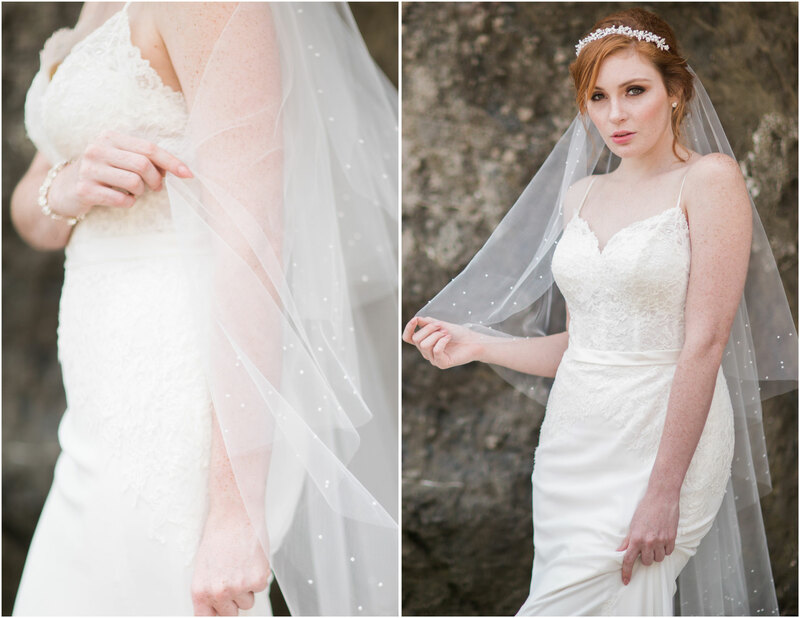 Whether you go for trendy lace appliqués or a simple edge, a long veil adds instant drama. 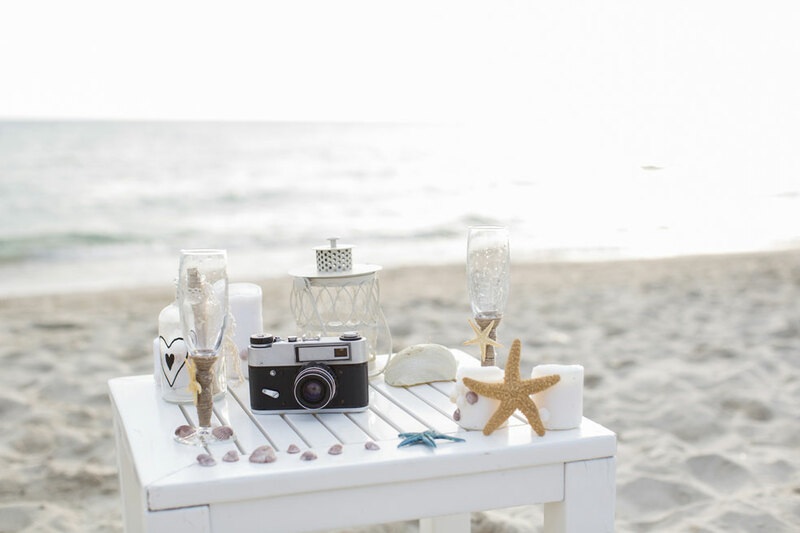 How will you style your beach wedding? Happy 4th of July weekend! To celebrate, here our top four must-haves for the 4th! If you’re getting married, congratulations! Planning for next year? Check out our Red, White & Bling inspiration board on Pinterest for more ideas. From sparklers to fireworks, your 4th of July wedding needs serious wow-factor. Celebrate in patriotic style with favors that literally go BANG! You can use non-smoking sparklers for your send-off, enjoy fireworks to start off your honeymoon getaway, or give sparkling favors that your guests can set off later. 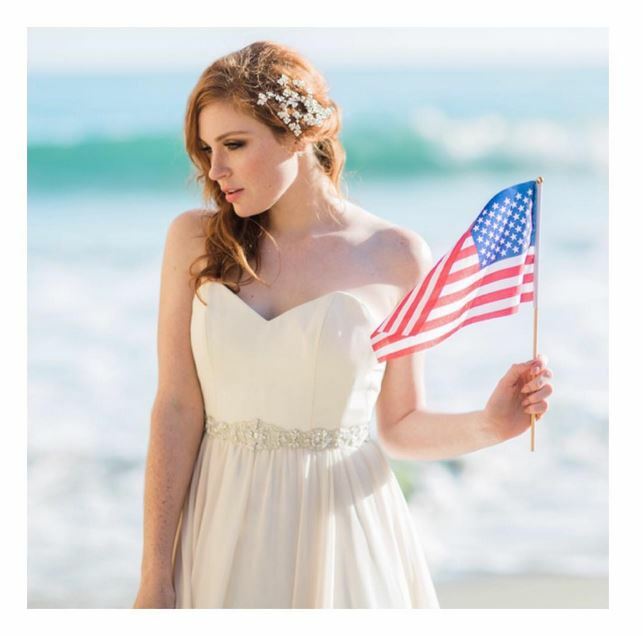 Who says that a 4th of July wedding can’t be chic? Include a bit of bling and jazz up your look with glittering heels, dazzling earrings, or a shimmering headpiece. Celebrate with fantastic sparkle! Any 4th of July wedding wouldn’t be complete without a nod to the American colors. Choose bright bouquets or boutonnieres, festive attire for attendants, and patriotic decorations. You can go red, white, and blue on wedding desserts, too! To make the day feel like YOUR wedding and not just a dressed-up celebration of the national holiday, incorporate personal touches—wear a non-traditional reception dress, a unique headpiece, or sentimental jewelry. Write a love letter to your future husband, take time alone together, and let the romance of your wedding day really sink in. Whether your celebration is formal or just fun, this is your special day. Capture every moment! 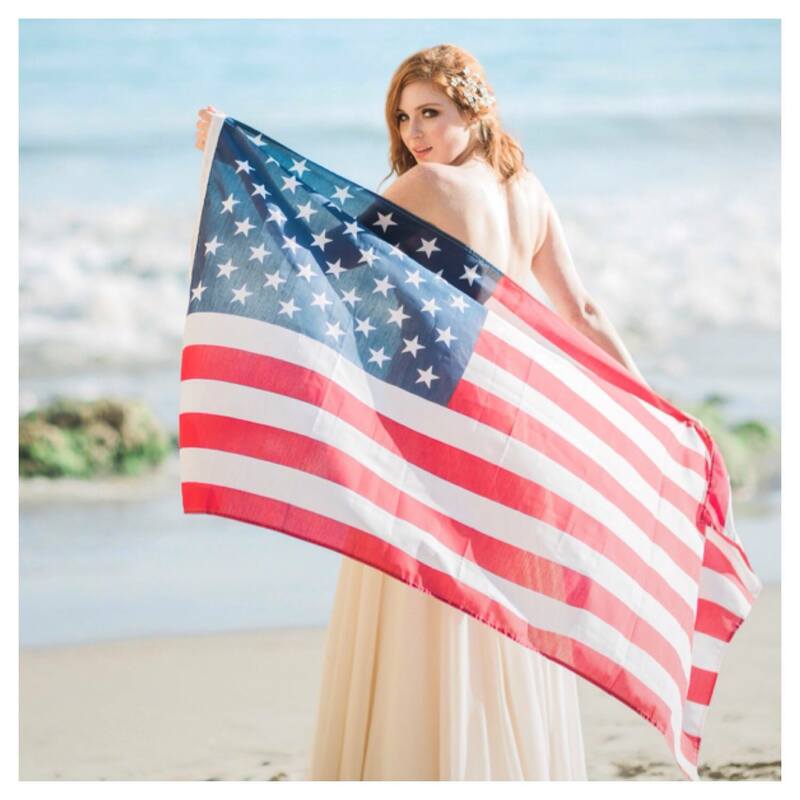 Posted on July 3, 2015 August 24, 2015 Author Bel Aire BridalCategories BA Love List, Beach Wedding, Holiday, PrettyTags BALoveList, Beach, Beach Wedding, Bel Aire Blog, Bel Aire Bridal, belairebridal, Fourth of JulyLeave a comment on Happy Fourth of July!